Letter to Farzanah. Published by the Institute of Black Research. 90 Fighting Years: A Photographic History of the Natal Indian Congress (NIC). Co-edited with Roy Padayachee. Published by NIC. Imijondolo: A Photographic Essay on Forced Removals in the Inanda District of South Africa, Natal. Published by Afrapix. South Africa: The Cordoned Heart. Edited by Omar Badsha. Text by Prof. Francis Wilson. Published by Gallery Press, Cape Town and W.W.Norton and Co., New York. Beyond the Barricades: Popular Resistance in South Africa. Co-authored with Alex Harris, Gideon Mendel and Paul Weinberg. Published by Kliptown Books, London and Aperture Publications, New York. Imperial Ghetto: Ways of Seeing in a South African City. Published by South African History Online, Pretoria. 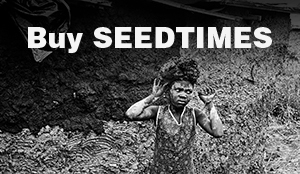 With Our Own Hands: Alleviating Poverty in South Africa. Published by Department of Public Works. Amulets and Dreams: War, Youth and Change in Africa. Published by SAHO, ISS and UNISA Press, August 2002. ‘Bonani Africa 2010 Catalogue.’ Published by SAHO. 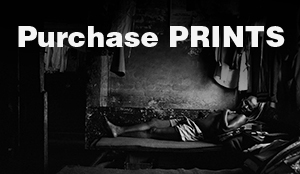 Curated by Omar Badsha, Jeeva Rajgopaul, Mads Norgaard. One Hundred Years of The ANC: Debating Liberation Histories Today. Edited by Arianna Lissoni, Jon Soske, Natasha Erlank, Noor Nieftagodien and Omar Badsha.